Sicamous BC adventures are located on the shores of the Shuswap Lake in British Columbia, Canada. This is a lake of many sightseeing opportunities and adventures including waterfalls, pictographs, remote beaches, wilderness camping, water sports, fishing and so much more. Shuswap Lake is connected to Mara Lake by the way of the Sicamous Narrows. Together the lakes and narrows have complimented the community of Sicamous by making it the "Houseboat Capital of Canada." Activities most enjoyed in Sicamous and the surrounding areas include houseboating, boating, jet skiing, water skiing, fishing, tubing, camping, sightseeing, beachcombing, swimming, waterfalling, birdwatching, kayaking, hiking, cycling, biking, picnicking, camping and snowmobiling and xc skiing. The Sicamous BC adventures are endless and many take days, and sometimes weeks to fully enjoy. A few of the most popular Sicamous BC adventures happen in our parks, lakes and on our trails. The most notable location for Sicamous BC adventures are on Shuswap Lake and Mara Lake of course. 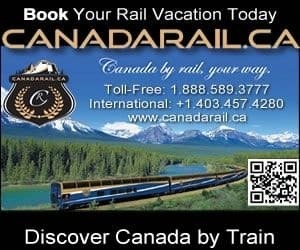 Other interesting destinations include Sicamous Creek Falls Trail, Sicamous Riverfront Nature Park, Mara Provincial Park, Eagle River Paddle Route, Sicamous Sands Public Beach, Simm Creek Bike Loop, Quest Mountain Hiking Trails and the Larch Hills Cross Country Ski Trails. Services important to vacation planning in and around the community of Sicamous, BC includes accommodations (hotel, motel, inns, vacation homes, cottages, lodges, bed and breakfast, rental suites), tours, guides, campgrounds, pubs, restaurants, gas stations, laundromat, gift stores, liquor store, grocery store, coffee shops, cell service, internet, banks and transportation services including taxi and marina. Sicamous BC Adventures and Travel Guide for Accommodations, Attractions and Adventure.